Over the years we have built up considerable expertise in building effective bed and breakfast websites for a variety of B&B businesses across the UK and farther afield. We have developed a tried and tested approach to building effective B&B websites that really makes a difference to our customers' businesses. From building new B&B websites to revitalising and reinvigorating existing websites, our track record has shown considerable success. Several of our new sites have gone straight to the first page of Google in no time at all, and others have seen substantial increases in bookings from the updated sites we've built. Through our deep understanding of search engine technology and the psychology of B&B visitors and businesses we can provide highly effective websites to our clients. We can also share tips and tricks to help maintain and develop the businesses online using Social Media and blogging techniques that deliver powerful results. 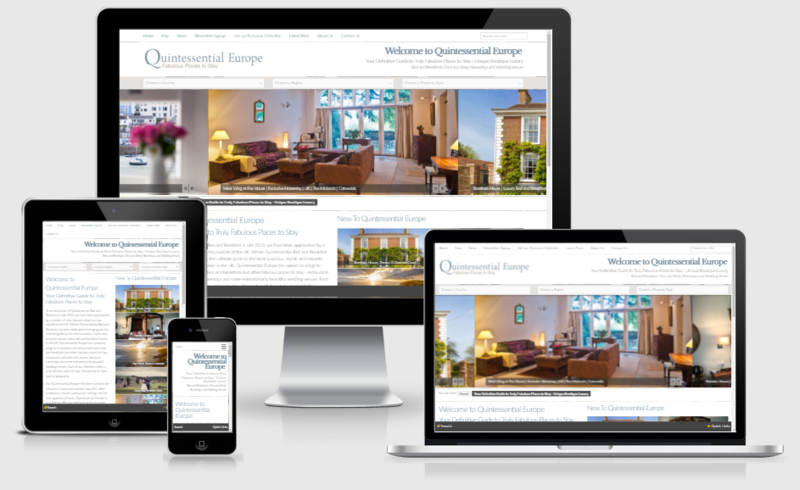 We have a portfolio of some of our recent B&B websites here. If you'd like us to help you promote your B&B business, or maybe you are thinking of commissioning a new website for your B&B, do give us a ring on 01305 753769 or email office@alacrify.co.uk and we can talk through what we could achieve with setting up a new site or digital marketing project together.